How Would We Do It Differently? “How Artificial Intelligence Could Kill Capitalism”. There are many topics I could cover today but I had to call this one out. I think Mr. Marr covered many bullet points of the coming The Fourth Industrial Revolution. He doesn’t call it as such but the meaning is clear. He leads the article with “if you believe the hype” which is a way of backhanded way brushing it aside. I am not an expert on these topics but I think the second point refers more to The Singularity rather than just AI. When computers overtake humans as the workforce of the future around 2040–2050, many predict there will be a panacea for humans to enjoy. I look at Mr.Ray Kurzweil, Google’s Director of Engineering in my blog post “Choices or Not? 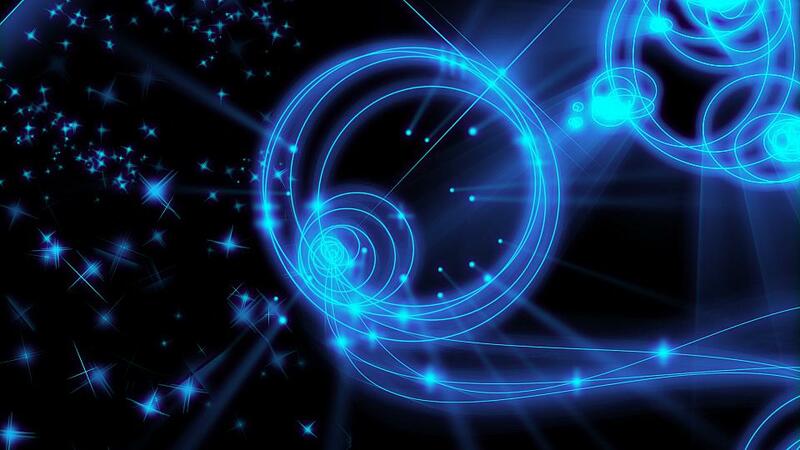 The Singularity, Quantum Computing. Mr. Kurzweil is a great intellect and a great read. His website is kurweilai.net. This, to me, is a great cop-out. If we don’t stand up and holler, no one will ever get the message. As it is no political force or entity has undertaken the responsibility for starting a large-scale discussion on the opportunities of AI. I believe the first camp, the naysayers, will then prevail. Benjamin Franklin’s quote applies here “If you fail to plan, you are planning to fail”. Failing to plan, on the scale of America alone will be disastrous. Failing to plan on a scale of the ‘free’ world (excluding Russia and China for the sake of this discussion) will be a holocaust. Since Trump is dismantling the foundations of cooperation and support among ‘free’ nations, the non-American elements will fare better than they would if they were still tied to America’s apron. They stand a better chance of solving the coming upheaval alone as evidenced by some Scandinavian countries already experimenting with ‘Universal Basic Income’. Mr. Marr pans basic income because “it’s basic”. A test has to start at the beginning. The beginning is basic. And that’s where Scandinavian countries are starting. (Finland, where the test group is 2,000 unemployed people, the Netherlands, Kenya, Canada). Also, two US states are taking part in a non-government-sponsored random study sponsored by Y Combinator. This study of 3,000 people is across two states. The city of Stockton California is the first government-sponsored trial by giving 100 people, $500 per month. I agree with Mr. Marr that neither the tech industry nor the government are making an effort to address the revolution which is already underway in our country. He says a concerted and informed effort from governments is necessary and the tech industry is more focused on profits than any motive for getting the change right. ‘The Intolerants’ in my blog post are parading as white supremacists and neo-Nazi sympathizers scaring the bejesus out of people. Most industries have accepted AI and their workforces are already fearful. Look at the grocery industry. People recognize that self-checkout lanes are affecting cashiers and how fewer are being employed. The trucking industry has many tests running and some companies are already using driverless semi-trucks as a way of mitigating the lack of over-the-road truckers to deliver their goods. Some companies, Uber, Embark, Otto, and Budweiser have embraced the new tech and are running at full steam ahead. Mr. Chace states that “people aren’t stupid”. He is right. People are talking. People are putting the puzzle together. Many are in denial ‘I won’t go to a grocery store that uses self-checkout lanes’. Some of these people now say “I won’t use self-checkout lanes because it is taking jobs away from people”. Some people don’t seem to care as evidenced by the increase in the number of self-checkout proliferating in stores. People are well down the road that Mr. Marr describes. In America, the energy that would be spent on this issue is now directed to Mr. Trump and his policies. But the tech revolution is not waiting for them. They will turn their heads and get whiplash due to the rapid advance of AI technology in almost every aspect of their lives. Then the ‘weeping and gnashing of teeth’ (Gospel of Luke 13:28) will begin in earnest. The sad thing is at least one year, if not more, will be have been lost, wasted because no one was paying attention to the advance of the ‘machines’. It may then be too late. The naysayers will have won. So many jobs lost. So many companies will have accepted the challenges of AI and bent them to apply to their bottom lines. The first thousands of jobs are already lost. Many more thousands are on the way, just because people thought other things more important. Greedy, ‘first to the fire’ people have mimicked and even debauched the real purpose of IoT. They have developed all kinds of shiny, new gadgets to capture wild imaginations. Instead, they could have understood the real benefit of IoT which is IoTh, the Internet of Thinking. How do we think differently? How do we apply all the new data? How do we enable people to think about ways to improve the world? Can we overcome the advantage the naysayers have gained by being first in line to apply the new, ‘gee whiz’ gadgets of AI? Can we change the direction of ‘gee whiz’ into a road that will find sustenance for all people physically and intellectually and spiritually? Somebody has to be the ‘grownup in the room’ so we can be ready for the real biggie, ‘The Singularity’. Categories 2018, July•Tags Artificial Intelligence, Ben Franklin "If you fail to plan, The Singularity, you plan to fail."